Estelle joined the Grantham Research Institute on Climate Change and the Environment in April 2014. She is the project manager of the Future Climate for Africa UMFULA research consortium. She also coordinated the Pathways to Resilience in Semi-Arid Economies project and managed the institute’s grant applications for over 4 years. 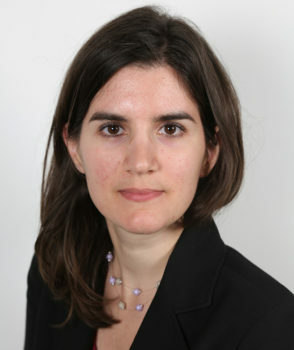 Prior to joining the Institute, Estelle was Coordinator of the Energy, Environment and Resources Research Department at the Royal Institute of International Affairs, Chatham House, coordinating all aspects of the department’s research activities in energy security, environment and resource governance. She previously worked for the non-governmental organisation Action for a Global Climate Community as a Programme Officer and Research Assistant, supporting the organisation’s work in promoting a high-level India-EU dialogue on climate change and energy security. Estelle holds a Master in European Policies from Rennes University and Science Po Rennes, France. She has extensive experience in managing research and policy projects, advising on and evaluating funding proposals, organising conferences and other types of stakeholder events, and providing research and policy support. Co-production: aspiration and reality. Co-production sounds lovely, but have we ever seen it? What can we expect from French President Macron on climate change?